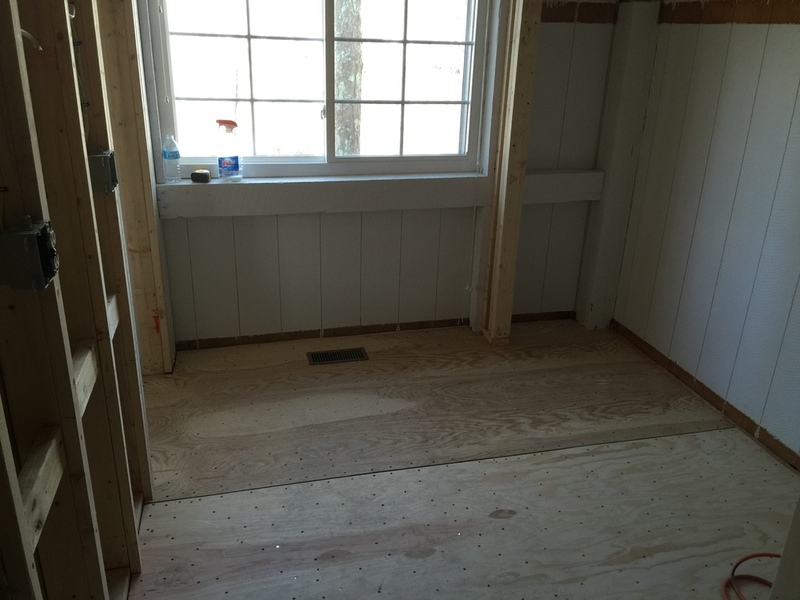 New Seabury Bathroom-From Mishmash to Fabulous! 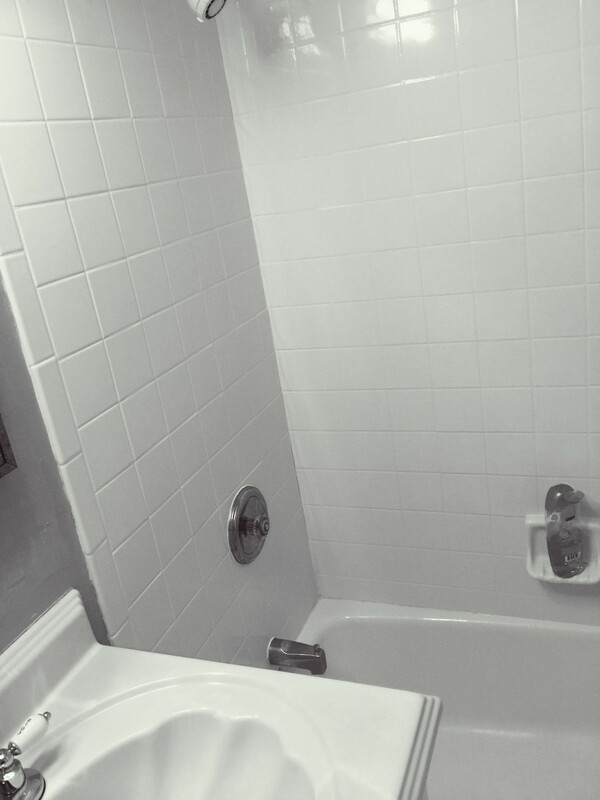 This bathroom remodel presented several challenges as you can see in the before-during and after pictures below. The plumbing in the house was an absolute disaster that required us to install a new waste line to the septic and then a complete replacement of the plumbing for this rabbit warren of a bathroom. In the addition, the post and beam construction limited our design and build options and we had to be creative with the placement of the fixtures. Another challenge, was finding a way to install the ductwork for the bathroom vent fan. If you look closely at the picture of the shower, you will see the grill above the showerhead which leads to a remote vent fan. 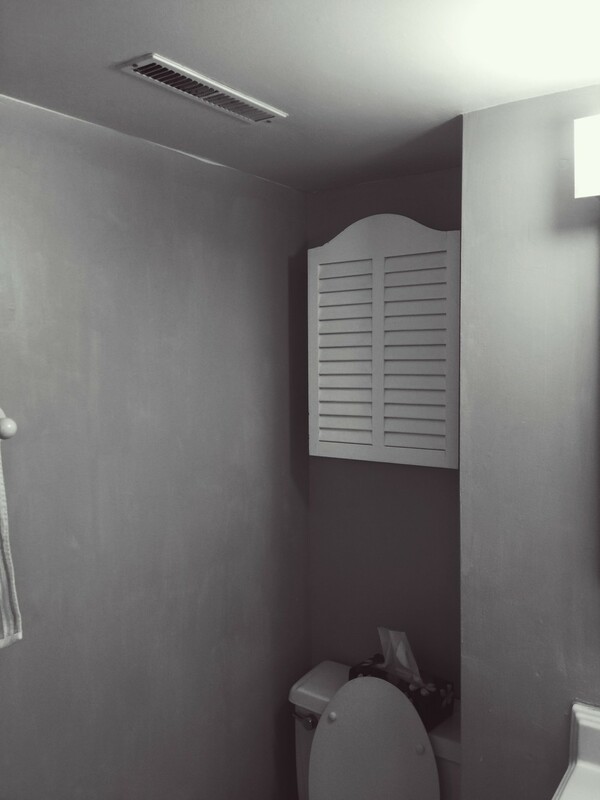 This vent fan is very quiet and is extremely effective in removing moisture from the bathroom. The long length of this bathroom allowed for a 5' vanity that with the use of a single bowl, provided lots of counter and storage space. It was quite a fun project to take this mishmash of an all too short tub, two separate vanities, an outdated style and create the fabulous looking bathroom you see below. It should be noted that we started this project in March and we were completed on time (as promised) by Memorial Day! Polished floor tile looks like marble and is simply amazing to look at! 5' vanity is made by Fairmont Designs. 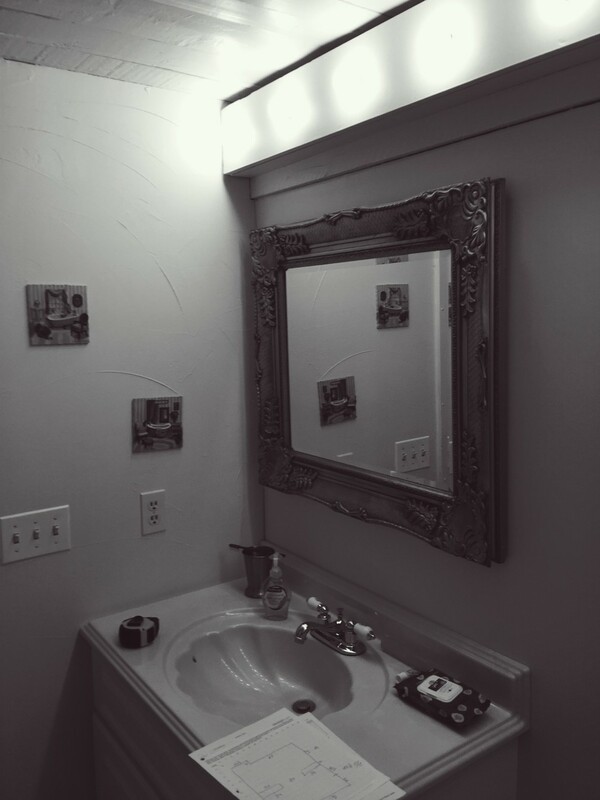 Mirrors are also by Fairmont Designs. Kohler Artifacts shower controls and lavatory faucet. Kohler cast iron shower base. All lighting LED including ceiling lights that look like recessed lights but are actually thin light trims with self contained LED. 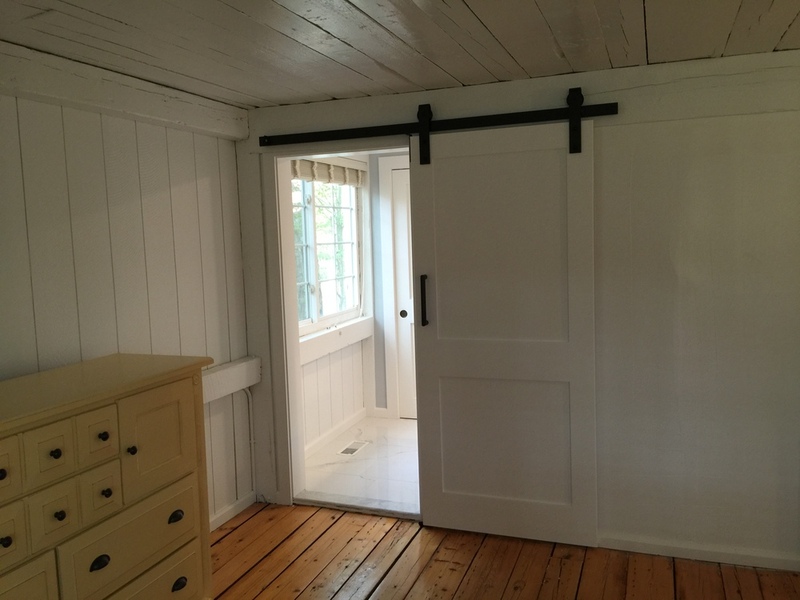 Sliding barn door hardware by Rustic Hardware.